The American Mountain Strop. 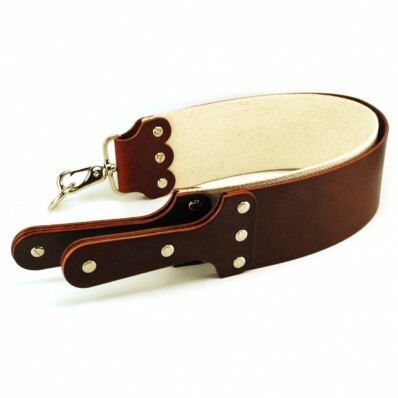 This handmade strop is custom crafted, designed for use by both novice and veteran straight razor shavers. 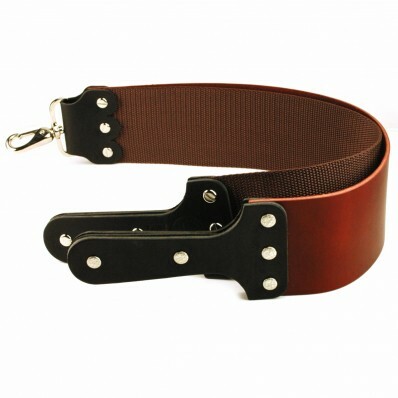 Strop measures 3″ x 17″ and is actually two separate strops joined together at the top with a nickel plated swivel clasp. 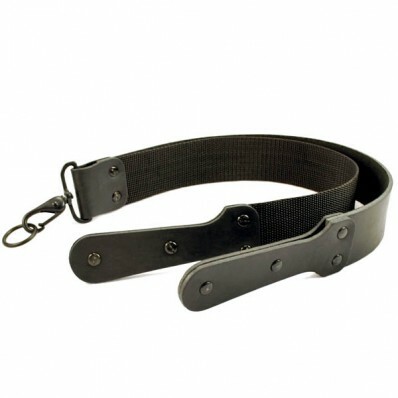 One is made of Prime Quality Black Latigo Leather and the second of a cotton webbing. 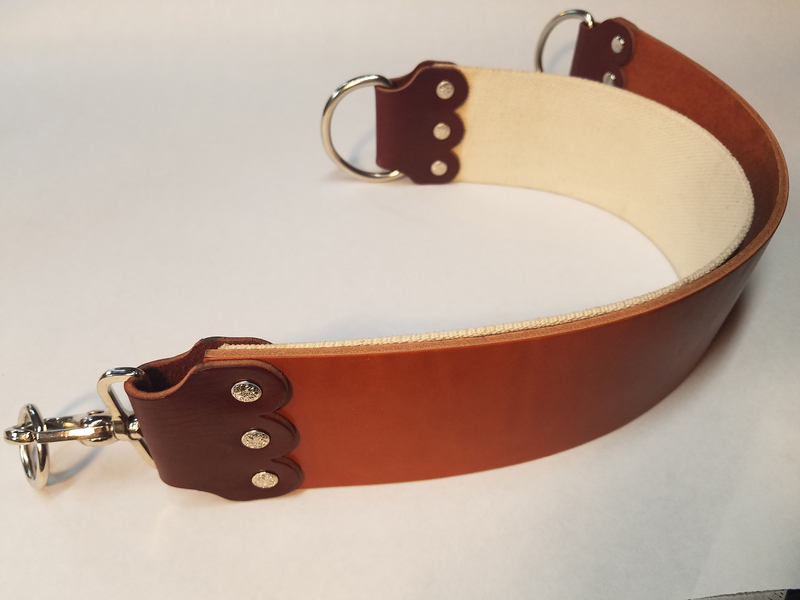 This durable American-made strop will season with age and keep your straight razor “Shaving Sharp” for the life of the razor.